Venezuela has an immensely rich bird fauna, with 1,381 known species, many of them found nowhere else in the world. This spectacularly illustrated, comprehensive, and up-to-date guide brings together under one cover much of what is known about these species. Its users can identify all the birds in this vast country, from the Caribbean coast in the north to the Amazonian jungles in the south, from the Andes in the west to the Gran Sabana plateau in the east. 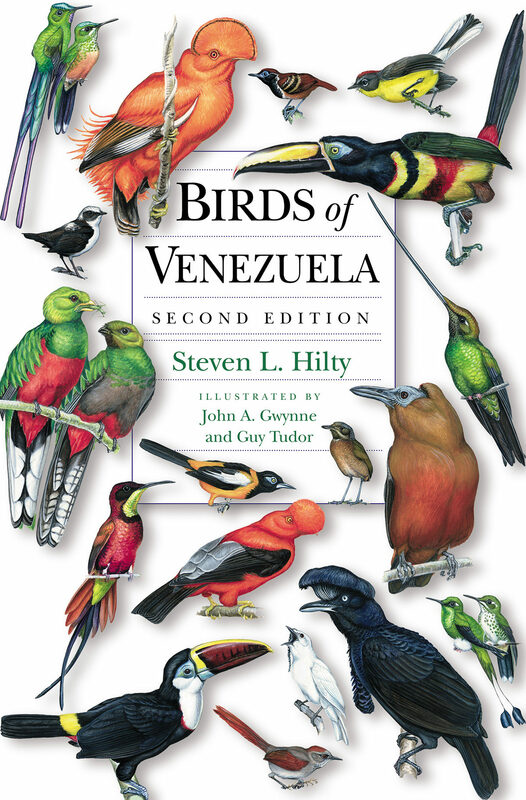 With a completely new text by Steven Hilty, Birds of Venezuela is a greatly expanded and thoroughly reformatted successor to the pioneering Guide to the Birds of Venezuela (Princeton,1978). It includes sixty-seven beautiful color and black-and-white plates, most by the well-known artists John Gwynne and Guy Tudor, as well as numerous line drawings. The plates and drawings together--almost half of them never before published--depict most of Venezuela's bird species. Introductory chapters cover physical geography, climate, biogeography, vegetation and habitats, conservation, migration, and the history of ornithology in Venezuela. A gallery of forty-four stunning color habitat photos and color habitat and relief maps complete the opening section. Detailed range maps plot collection localities and sight records--a unique feature--for almost all species. Plumage descriptions are provided for each bird, as is extensive information on voice, behavior, and status. More than 800 bibliographic entries accompany the text, making this book an invaluable and broad-based reference to the avifauna of not only Venezuela but much of northern South America. Treating nearly 40 percent of the continent's bird species, Birds of Venezuela is the definitive resource for all birders with an eager eye on this splendorous country and the surrounding region. The most comprehensive, up-to-date, and best illustrated guide to the birds of Venezuela Covers all 1,381 known species and their subspecies from the Caribbean coast to the jungles of the Amazon, from the Andes to the Gran Sabana plateau--nearly 40 percent of all bird species in South America Completely new text accompanied by more than 800 bibliographic entries Strikingly illustrated with 67 color and black &amp; white plates and numerous line drawings 44 stunning color habitat photos and color habitat and relief maps Detailed range maps for each species .